This contract also provided for the provision of new ductile iron watermain, foul and surface sewer sewers and ducting for telecom and ESB. 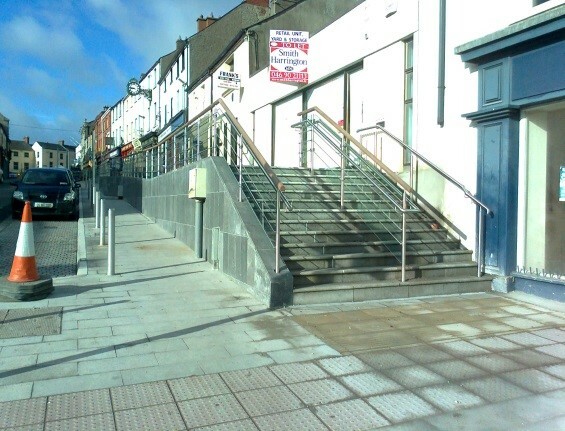 Existing footpaths, kerbing and street furniture were removed and replaced, included the laying of granite kerbs, placing of approx. 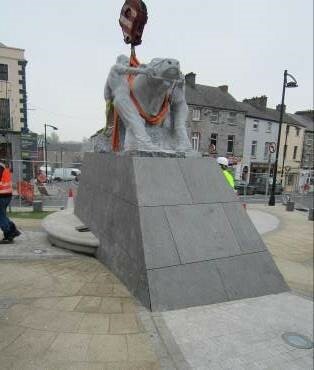 2,000m2 of granite paving on the entire street, and installation of new lamp columns. 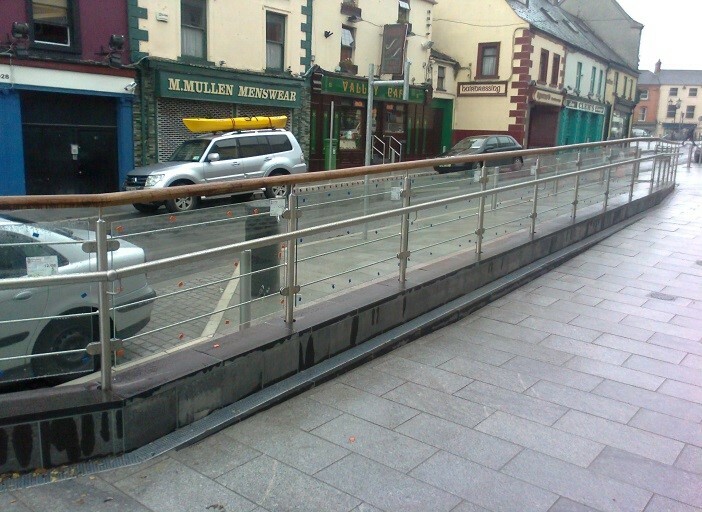 A split level footpath and promenade were also constructed in addition to the widening of the footpaths within the street boundaries. Works were completed on two pedestrian crossings and traffic signals were upgraded. 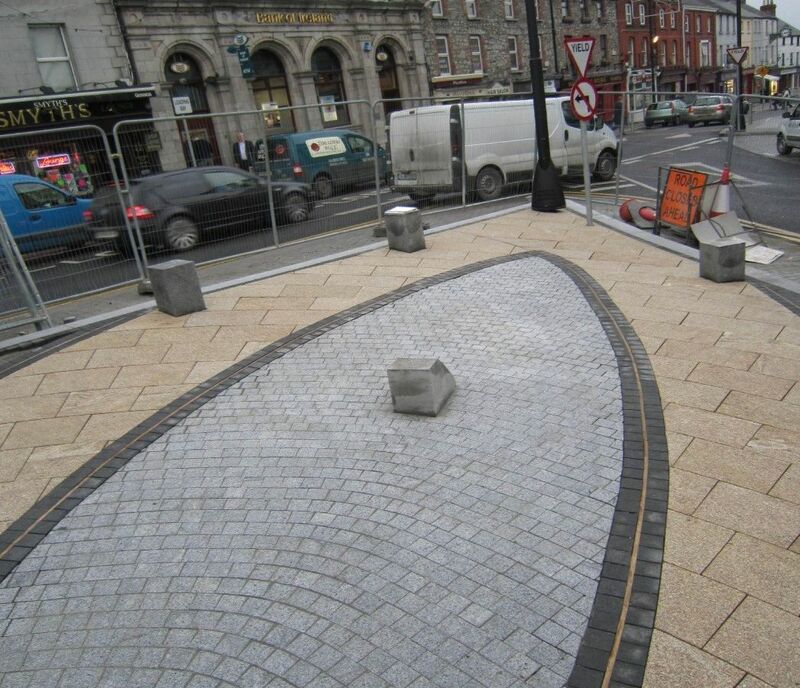 The central island in Market Square was widened and a recreational area within the Square provided for,with a landscaped area and seating, and the erection of a sculpture in the centre. 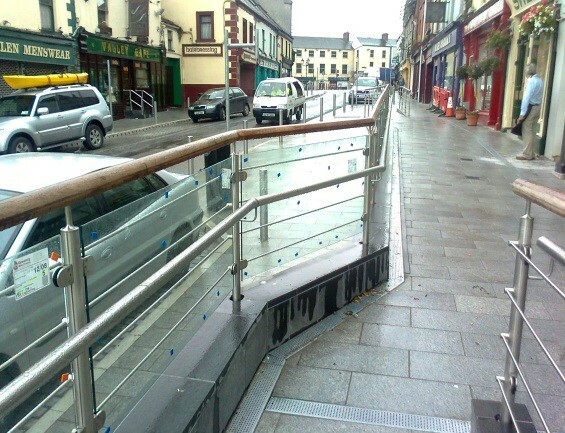 Existing tarmacadam was planed and replacing with NRA specified road way with considerations for pedestrian crossings, parking bays, bus stops and taxi ranks. 100m of retaining wall was constructed, including stairs and ramps with limestone cladding.